Concrete thinking is literal thinking that is focused on the physical world. It is the opposite of abstract thinking. People engaged in concrete thinking are focused on facts in the here and now, physical objects, and literal definitions. 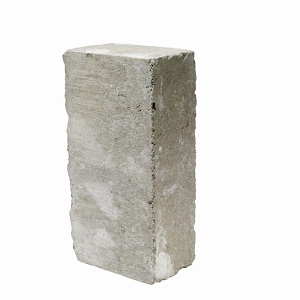 The term “concrete thinking” is, ironically, a metaphor (and a metaphor is a type of abstract thinking); concrete is a hard, physical substance and concrete thinking is focused on literal–and often physical–facts. A person who thinks only in concrete terms might think that the term “concrete thinking” means thinking literally about concrete. Concrete thinking is the first form of thinking children master. Very young babies think extremely concretely, and most research indicates that they cannot conceive of an object as existing if it is not physically present. As development continues, children develop object permanence–the ability to think about things that are not present–but still struggle with abstract thoughts. The development of abstract thinking is a gradual one, with children first understanding abstract concepts such as emotion and then being able to understand more challenging abstract ideas such as theoretical math, metaphors, and philosophical concepts. Recent research indicates that most animals tend to think in highly concrete terms, though some highly intelligent primates can master abstract concepts, object permanence, and may develop a theory of mind. Abstract thinking is critical for normal development, and exclusively concrete thinking can severely inhibit a person’s ability to learn, empathize, and relate to other people. The development of a theory of mind–the ability to place oneself in another’s shoes and guess what they are thinking or what it is like to be them–is key for developing strong social skills. The inability to think abstractly can be symptomatic of developmental delays. Children on the autism spectrum frequently struggle with abstract thinking, and may have difficulty with empathy and understanding others’ emotions. Head injuries and brain damage can also interfere with an individual’s ability to grasp abstract thoughts. Thank you for breaking this down. Is it a challenge for an adult to learn how to think more abstractly? How much did trauma in childhood and abuse contribute to blocking creativity and spontaneity? Perfectionism? I notice that I get stuck a lot when I’m in a brainstorming session at work. Also, have a hard time “thinking up” things to write because I get stuck on the meaning of one word. Any suggestions? based on my understanding of the concrete and abstract thinking and you being a therapist I tend to agree with your supervisor that you are too concrete in your thinking. Maybe if your are able to empathize a bit more you may begin to think more abstractly . I’m sometimes accused of “being a concrete thinker” because I try to keep work related matters grounded in reality, and because I ask for details on how policies are applied and how intricate tasks are to be performed. I can talk philosophy all day, but if I don’t know how something is done, or if I don’t think something sounds logical or grounded in reality, I say something. That has supervision saying I “think too concretely.” I am a therapist. WLC-you sound like you are not concrete enough-perhaps your creative brain is dominant—i am a new clinician hungry for understanding and heard this term used on a coworker-I was thinking this term seems very severe for a person who is not with any outstanding developmental delays.